Many thanks to everyone that supported Market Noel 2018! We are already in the planning stages of Market Noel 2019! Interested in becoming a Market Noel 2019 Merchant? We are now accepting Merchant applications for Market Noel 2019! Market Noel 2019 will take place November 20 – 23, 2019 at The Finley Center in Hoover, Alabama. Please Note: Our application also has a non-refundable application fee of $25. The application fee must be paid at the time of application submission. All applications are reviewed by the Market Noel Committee. If your application is accepted, you will be contacted by a Market Noel Committee Member for the next steps. Under no circumstances will application fees be refunded. 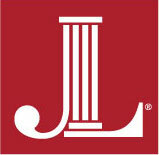 Thank you for understanding, and for supporting the Junior League of Birmingham.